Monday, April 9, is the beginning of Holy Week. On these days we remember the last days of the earthly life of our Lord Jesus Christ. On April 9, 10, and 11, the Liturgy of the Presanctified Gifts is served for the final times. From Sunday (April 8) until Tuesday (April 10) at the evening service (Matins) the troparion “Behold, the Bridegroom cometh at midnight” is sung. On Wednesday evening, April 11, the canon beginning “At a stroke the Red Sea was parted” is read and the hymn “I see Thy bridal chamber adorned, O Saviour” is sung at Great Thursday Matins. Great Thursday, April 12, commemorates the Mystical Supper. The Liturgy marking the institution of the Mystery of the Eucharist is celebrated. On Great Thursday evening the Great Friday Matins with the reading of the Twelve Passion Gospels is celebrated. Great Friday, April 13, commemorates the Holy and Saving Passion of our Lord Jesus Christ. No Liturgy is celebrated on this day. In the morning the Royal Hours dedicated to the Lord’s Passion are read. During the day Vespers with the bringing out of the Burial Shroud (Epitaphios / Plashchanitsa) is served (in Russian practice this is most often celebrated in the early afternoon). 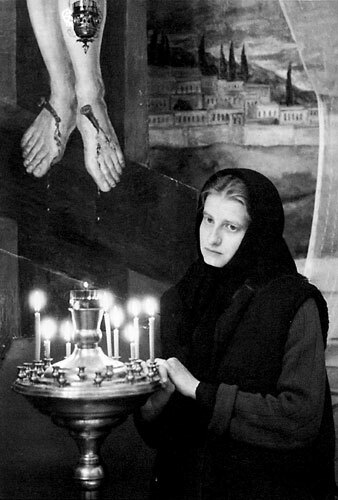 In the evening or night Great Saturday Matins with the Lamentations is served. On the morning of Great Saturday, April 14, Vespers with the Liturgy of St. Basil the Great is celebrated. On this day wine is allowed. On Great Saturday in the latter half of the day the Acts of the Apostles are read in many churches. Late in the evening of Great Saturday (around 11:00), Midnight Office with the reading of the canon is celebrated, after which the Burial Shroud is brought into the altar and Paschal Matins begins at midnight, followed by the Divine Liturgy, the blessing of Easter baskets, and the breaking of the fast. Those desiring to receive Holy Communion at any point (up to and including Pascha) should arrange for Confession as early in the week as possible. This schedule reflects the practice of the Russian Orthodox Church; service times and some practices may vary by national tradition.